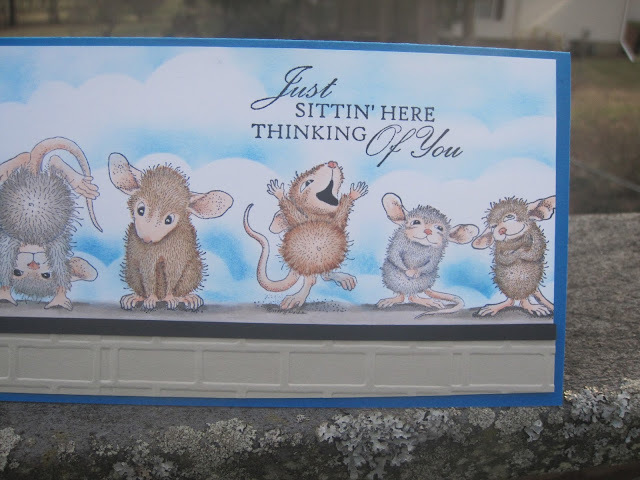 As I told you on FB, this is just the cutest idea and card. 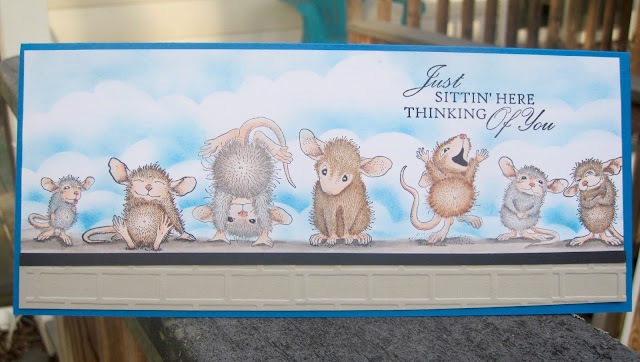 Very clever thinking, using these sweet little images and the clouds are fabulous too. 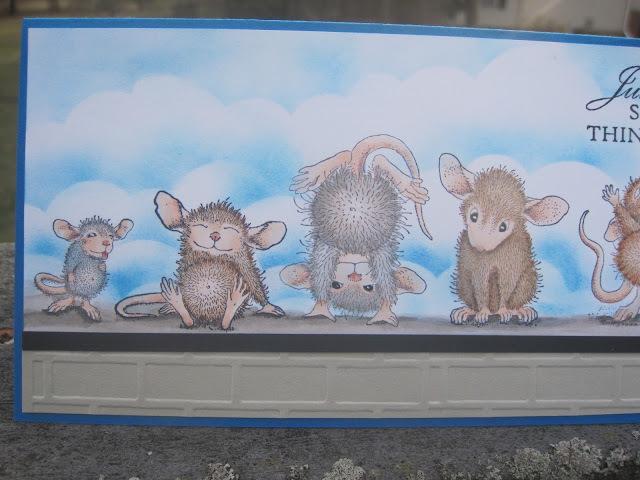 Thanks for joining the fun and entering a card at the House Mouse and Friends Monday Challenge. Nicely done. Awesome card - love all those little mice together!